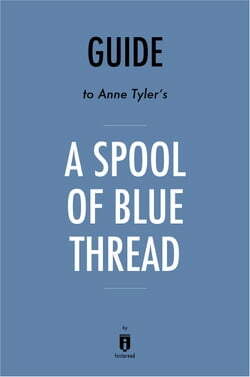 This is a Summary &amp; Analysis of A Spool of Blue Thread. A Spool of Blue Thread by Anne Tyler is the poignant story of four generations of the Whitshank family living in Baltimore. They are an ordinary family like any other, but they are also special in their own quirky ways. The members of the... read more family love and care for each other, but they also harbor jealousies, rivalries, and carry secrets. Summary of the book, Character Analysis, A Discussion on Themes and much more!